For all of my adult life photography has been one of my major passions, focusing primarily on landscapes and nature. Beginning in 2010 I have taken one or two professionally-led landscape photo workshops each year, mainly in southern Utah and the Southwest. During these workshops I photographed in all five national parks in Utah, as well as Monument Valley and Grand Staircase Escalante National Monument. 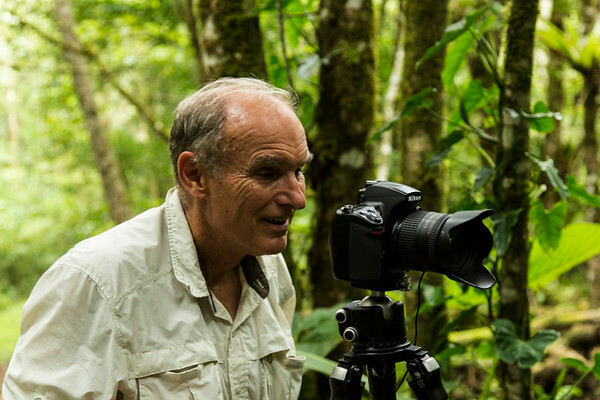 In 2013 I did a workshop in Costa Rica, focusing on birds and other wildlife. In 2016 and 2017 I did a two workshops in California: the Redwoods and the eastern Sierras. I have done outdoor photography in many places in the United States, as well as in parts of Europe. In addition to the workshops in the Southwest, my travels have also taken me to the Pacific Northwest, California, Colorado, Upstate New York, New England, and Midwestern locales closer to my home in Oak Park, Illinois. My European travels have included Scandinavia, the British Isles, the Baltic, Germany, Austria, Hungary, and the Czech Republic. In August 2018 I did an Arctic cruise to Greenland and Baffin Island. After many years of shooting film, I went digital in 2006. My first digital camera was a Nikon D70s. I went full-frame in 2010, purchasing a Nikon D700, and then a Nikon D810 in 2016. My lenses include the Nikkor 24-120mm f/4, Nikkor 14-24mm f/2.8, Nikkor 70-300mm f/4.5-5.6, and Nikkor 80-400mm f/4.5-5.6. I use Really Right Stuff and Gitzo tripods.